Where Roots And Wings Entwine: Whoosh!! Weeeee!!! (Project 365 - 58/365). Whoosh!! Weeeee!!! (Project 365 - 58/365). The sheer glee on his face, combined with the blur of movement makes this a cracking shot! Thank you. 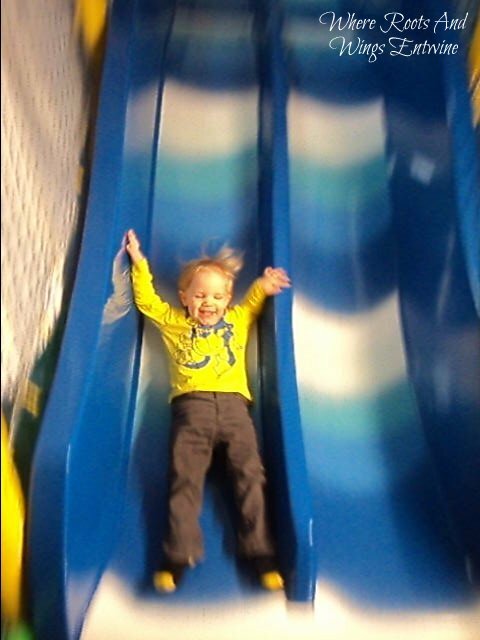 He loves whoosing down the slide and usually goes so fast I only get a blur of a photo.